If you have seen the information sheet we mail or take to real estate agencies, then you have seen these two photos. What that info sheet does not reveal is how the photo was edited in digital software to become the pleasing interior shot it is. These pictures are also on the page "Free Photo Shoot" tabbed just under the heading photograph of the blog site. Take a look at this first photo, an effort to emphasize and show the attractive main window from the open living area of the home. Look at the photo and you might see more missing and more wanted than the text on the photo says. This photo was to be one of the listing photos on the mls for the residence and property. The intent is to honestly show the home as it is...not exaggerated as to what is actually there and not less than the eye actually sees. As it is below, the photo fails to show either the home or the window well. 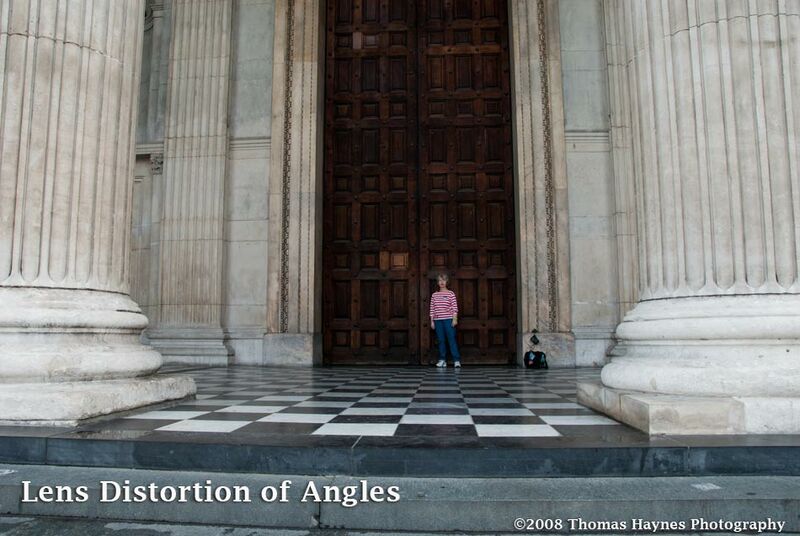 Really, no photo will match the human eye in dynamic range and ability to see things nicely. What we do as professionals is size up the situation as best we can then go to the editing room. We know matching the actual eye view is not possible but we want to get close enough to show the home interior fairly. The eye would not see this first photo as did the camera. Our eyes take in a much wider range of light intensities and then balance it all together..that is what the brain does and what we see. Thank our God, our creator, for the ways we compensate for color and lighting to see as well as we do. Now, off we go to the computer to edit the photo to look as it really should. After editing, this is the photo used on the real estate listing. The picture shows an inviting and comfortable room with good openness to the outside. Outside light was slightly brighter than the interior and is shown that way to display the window and not detract from the room itself. OK, so what did you do to make this photo look right? There are generally two ways to take a photo like the one at the top and come up with the second one. 1. Have enough light in the room to expose the interior and what is outside the window in a natural balance: In this room, that was not going to happen. Available lighting was not strong enough and supplemental lighting with photo strobes would be very difficult and time consuming to set up to get this look. We took the other option. 2. Take more than one photo from the same spot(tripod needed!) and combine the parts of the photos needed to make the final image. This is what Photoshop™ people call "making a selection" and "layering" of parts together. None of this was done to deceive..keep that in mind. What is in the second photo was in the original view but the camera could not see it all in one shot. The purpose of this time consuming photo editing was to provide an image closer to what the eye actually sees than a camera is able to capture in one shot with available lighting. Why is this example of photo editing posted here in the first place? The answer is simple. On occasion it is necessary to go extra steps at the editing desk to get a photo right for public view: An honest and effective marketing product..i.e. real estate photo. We do that when needed. It should be part of the job. Comments or questions are invited. Join in! Email preferred for longer comments and thoughts we may post for discussion. Whether selling property yourself or signing with a real estate agent to sell your home or property, you have "the right" to good photography to go on the net and get attention of potential buyers. 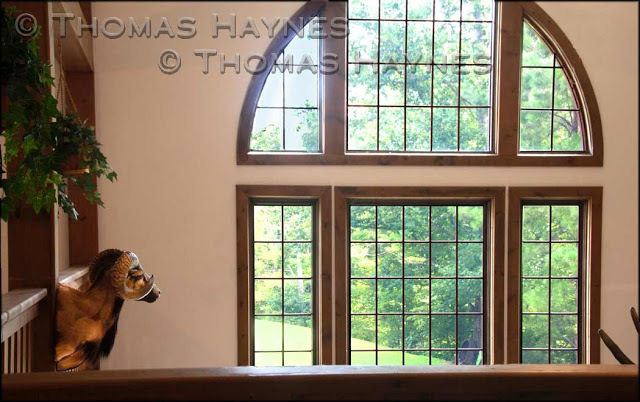 The other day, speaking with a loved friend about how this business Thomas Haynes Photoshoot does photography for real estate, she said, "Tom, back when I was selling my house the agent talked about getting the property on the market and I thought next thing she would send in a photographer to get the pictures. That didn't happen. She pulled out a little camera and went like a wind through the house snapping pictures. I did not see any effort for composition or getting the best view of a room." The agent got everything in the photos; unfortunately, the photos were not very appealing. My friend asked, "Did I have an option on the photos? Now I know I did but did not think of it back then in the middle of trying to move." Is the real estate agent willing to have a professional photographer do the photo work? You may hire the photographer yourself or the agent/agency may hire the work done. That you need to talk over with the agency. Suggesting professional photo work is completely within reason and simply makes good marketing sense*. 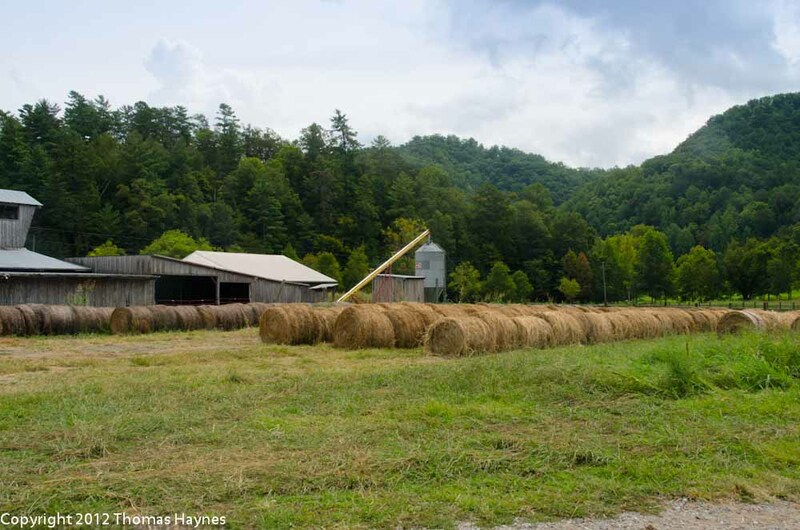 If your sign says FOR SALE BY OWNER, it is up to you to provide the photos and this is when you decide if your camera and ability is up to it or if a pro photographer like Thomas Haynes Photoshoot should do the work. Pricing is reasonable and depends on the size of the property and other considerations at the actual photography location. As the stats show, the *true value of pro photography kicks in at about the $300,000 price and up. Top agents know the real value of using a pro quality photography in selling real estate. They know in general the final selling price is higher. They know potential buyers will search the Internet and good photos catch attention and encourage a closer look. A superior image as the very first view should show the most drawing and attractive view of the property. This is where a fine photo does its stuff. 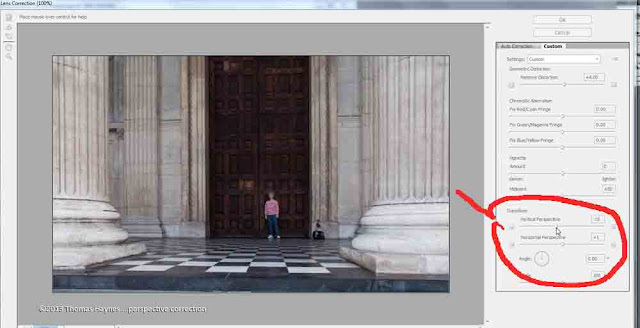 This first view is also where a poor, off balance or quickie snap shot photo may loose the customer. Our belief is that everything in the process must reflect professionalism and nothing amateur, hurried and scattered. This applies to an agency sales staff and to the owner wanting to handle the sale...by owner. Good agents understand just how truly important professionalism is to the process. If you are not fully ready to do what it takes to sell the property "by owner", do yourself a favor by talking with one of the better agencies in your area. In the end it is your decision and if you determine to do it yourself it is your job. We provide the same great photos either way. THE OPTION TO HAVE PROFESSIONAL PHOTOS IS YOUR OPTION and may be critical in attracting buyers. Once the property is skipped by, what are the chances of a buyer taking another look? She said, “Look, someone else is moving in. No business makes it there.” I agreed. 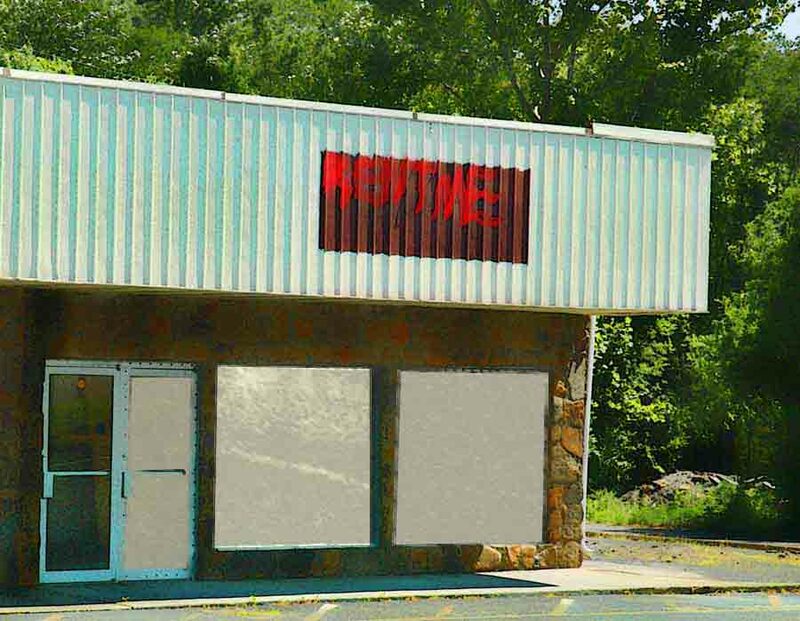 Passing that little place on the side of the road every day for many years, we have seen several start-ups in the rental building.. They set up, sit tight, take down, close the doors. No business makes it there. In between, the little building sits empty for months. Sure, the first thought is “location, location, location” a prime rule of business dependent on customer traffic to and into the building. Choosing that particular location is penny wise and pound foolish. Sure, on limited capital it might be the only location the new tenants can afford…but it still fails. In a similar fashion, we do not understand how a property with elegance from the get go and plenty of sellable features is presented on real estate listings with what look like old cell phone photos. 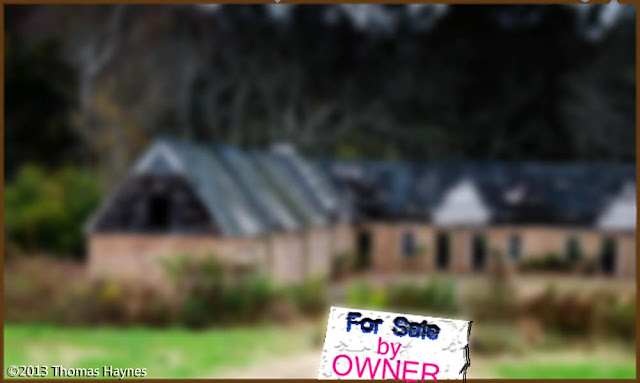 A quick click to Zillow.com, Realtor.com or other listing web sites will show this is too often the case. There is a $600k home illustrated with “photo booth” quality images. Walls are crooked; interiors hurt the eyes with blast-furnace-like over exposed windows; rooms with normal looking windows are dark and uninviting. Flash reflections show in the bathroom mirrors and the kitchen is a little strange with that high end stainless refrigerator leaning out and to the side, misshapen and distorted as is the rest of the kitchen. Penny wise and pound foolish? We believe it is and articles in The New York Times and the Wall Street Journal prove it. A study by real estate giant Redfin also adds value to the use of higher quality photography, showing how sales of properties over $300k benefit from higher end camera use (assuming a higher end photographer is on the viewfinder end of that camera). We do not expect our agency friends to have the time, equipment or experience to shoot and edit higher end marketing photographs. (A few do quite nice work but that is an exception.) In similar regard, we do not and likely could not sell a property! We are not here to insult your listing photos...you are encouraged to look and decide if the quality is what you really want.. You list the property…have us do the photography because that is what we do. We do wish agents would take a closer look at the photos they are putting on the mls and ask: “Is this inviting and attractive? Am I attracting buyers or running them off? Do the photos reflect my professionalism as a Realtor®?" Frankly, we want the photo business and want the overall agency business to do better. We believe what we do with professional photos will help the sales situation. We will provide photographs to catch the buyer’s eye and encourage checking out the property. Poor photos simply do not encourage anyone to spend time looking, reading descriptions or taking time to go and see how the property really looks. Penny wise and pound foolish? Comments will be appreciated. What do you think? Software for correcting distorted photos is recommended at the end of the post. When there is a free moment to visit the Internet, go to Zillow.com and click the search map to bring up listings in any particular location. Do you see any properties similar to ones you might have listed? Look at the real estate photos and click “larger”. You only need to view a few listings to see how good some photos are and unfortunately, how truly bad are some others. We all know a bad photo is not likely to keep the interest of a possible buyer. 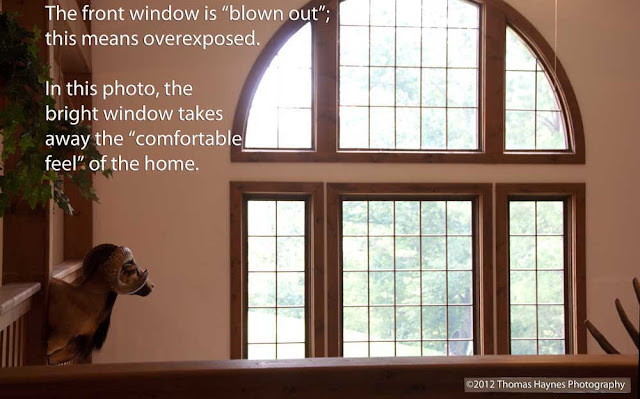 A bad photo is also not likely to encourage a home seller to have you handle the listing. Time saved in a speedy “point and shoot” run through of a home or even phone photos is quite well proven to be money and sales lost. The studies show that in homes and properties of $300k or higher, professional photography or skilled use of a versatile camera by the agent does result in attracting more potential clients and in the end: Better sales and higher prices realized. With lower priced properties, better photography helps but is not nearly as important. The real benefit of pro or quality agent photos appears to kick in at that $300k and up price range. Buyers seem to be looking more closely at details and are turned away by marketing which appears low end and not equal to the property listed. A listing can state “professional” every time services and agents are mentioned but if the photos come across hurried and thrown together, “professional” goes out the door and the buyer may quickly move on to another listing which does have the appeal of clear detail, full coverage and comfortable looking rooms and land. Moving a slider(circled in red) will tilt the vertical view of the image, tilting enough to straighten the columns. The very slight curve in the foreground now goes the other direction than from the previous photo. A touch more editing would correct this curve if desired. 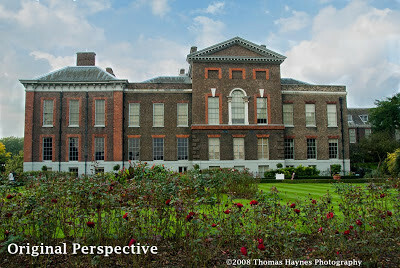 Here is Kensingston Palace in London. The low stance of the photographer in relation to the palace created perspective distortion in the photo. The building tapers toward the top, a natural perspective but exaggerated in a photo. Using the same methods as with the columns, the building was "tilted forward" slightly. The correction was minimal but the difference is a better photo and avoids the look of a "snapshot". Quick Hint Post 1. Distorted, twisted, skewed photos. When you use the shortest lens setting you have (lowest mm equals widest angle view) and try to fit the entire bathroom area or den into a single photo…what often happens? The room is stretched out, wall and columns slanted oddly, ceiling beams bent and strangely fitted across this pulled and twisted room. It seems some agents think that is the best there is under the circumstances and that is what goes on the mutual listing service. Software is available to allow basic corrections to be made with relative ease and that software is not going to break the bank. Under $100 is Corel Paintshop Photo™ and from Adobe is Photoshop Elements™. The Corel program derives from the original JASC Paint Shop Pro, a highly successful and inexpensive digital art and editing program from several years ago. Elements is the little sister of Photoshop™ and has most all needed to do good photo editing. 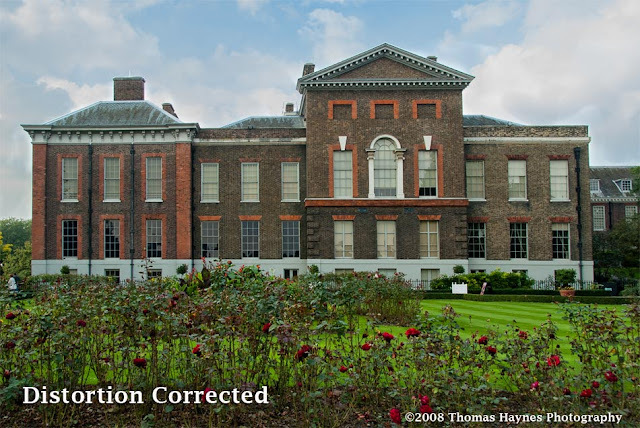 Corrections to photo distortions are not always perfect, specially when a wide angle lens has been used in a small tight space. But correrctions may be made to bring a photo into an acceptable quality level. 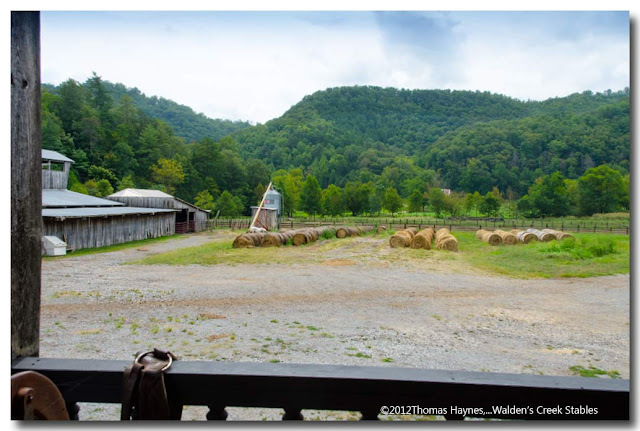 Sometimes two photos will do better than one to show the area and oftentimes cropping the edges will show the property well enough to be descriptive while cutting off the worse distortion. Our business is photography. We will do your photos as you wish. Editing is part of the process and you get print and web ready photos. We do real estate photography and other commercial work. Please inquire about what you have in mind. We do the images and you get a license to use them. Who owns the photos? You start with a review of all the photos we have shot and edited for your assignment. You have a web gallery of images, protected with a password assigned to you. When you approve the photos, we get with you to provide the license for your exclusive use and we receive payment for our services. License? Yes, we retain ownership as do other photographers. The © (copyright) is ours. You have hired us, we did the work, we grant you an exclusive license to use the photos in your business. This is little different from your computer software being licensed. The software may be licensed for one or two computers. For more computers you have to purchase an extended license. Even when installed on your computer, the software producer owns the application. License terms for real estate photo work must be and are quite liberal in comparison. We expect the photos to be on the MLS (listing services). We expect to see the photos on Zillow and Trulia. That is how real estate is done. The photos may be on the cover of a brochure or regional real estate magazine like "Homes and Land". We would like that, btw. You will have a password protected gallery of large file photos, suitable for print and web use from which you may download any or all of the photos. If you need larger files we will provide that and can provide a gallery of smaller images for listing services and web marketing. Several different styles of photography editing may be used and when it might be advantageous to you we will provide examples for your choice. Editing is intended to get the most from a good photo, not to make a bad photo "acceptable". For instance, a fuzzy photo is deleted right off. The photo must be acceptable straight from camera. At that point it is edited to provide the best look for the property. The images may be shot and enhanced for that HDR or "high dynamic range" look so popular today. We use such editing and true HDR photo methods only within the range of "natural appearance" with more punch than a standard photo. Over used, HDR and similar techniques render a dramatic but ineffective surreal photo view of your property. The idea is to market and sell the property, image or idea you contract us to provide visually through photography. Drama has its place and in certain uses is very effective...it all depends on your product and marketing approach. For real estate in general, natural looking, honest images with eye catching edits are recommended. Examples of editing styles will be the body of another post if that seems useful. 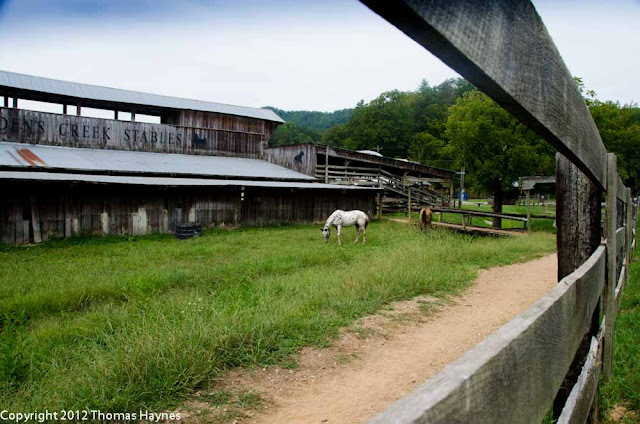 This is part of a riding stables photographed in 2012. The photo provides a view outside the stable. The eye is directed to a pleasing, pastoral scene. This single image is part of a series covering the property inside and out. many views of the property and its full expanse. We sit down and talk about what you want to do and how we can do it for you. Real estate is more straight forward than some other marketing imaging but demands good and well edited photos to keep viewer interest in the property. Unfortunately, much of what is seen on the Net is neither interesting nor well done. It should be well done and attractive...that is our goal with each assignment: To provide images to catch the eye and the interest of the possible client. If you are marketing something other than real estate or want images for your company web presence, other photographic methods and photo editing is planned to carry through the theme to accomplish that purpose. Photos may be black and white, forensic type images or perhaps dramatic with gleaming color highlights, all tuned to the subject at hand and chosen advertising approach. It all depends on what works for the subject at hand. Client galleries for licensed photos are stored at another website. This link with take you there to see a few Sample Property Photos. Explore the site as you wish. Password protected galleries have a "lock" on the thumbnail.